© Theodor Asoltanei. All rights reserved. 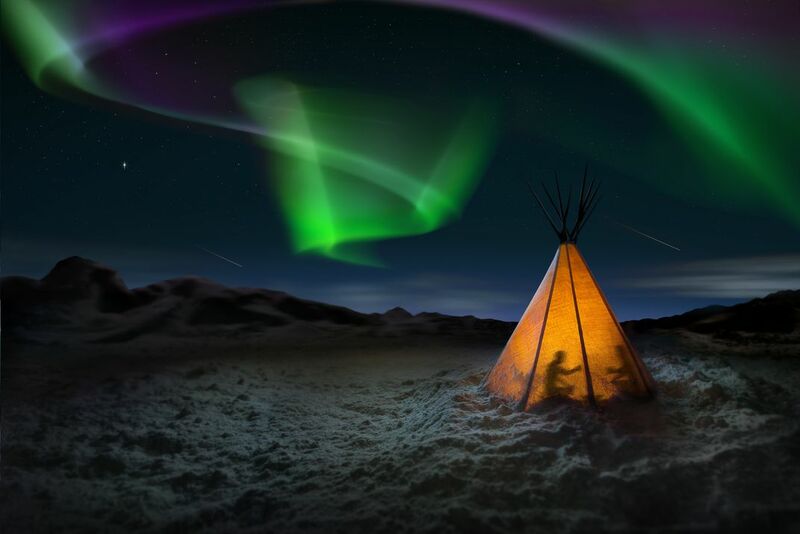 In this constructed image I have included a Tipi, a nomadic shelter, nowadays used for tourists in several campgrounds in North America and Canada. I wanted to express a possible view at night in such a place.